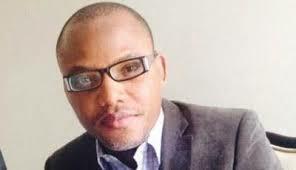 There is an ongoing assassination attempt upon the life of Nnamdi Kanu, right now in Kuje prison. Unwarranted violence surfaced in Kuje prison, and Indiscriminate gunshots and tear-gas are being fired into his room. Reliable information have it that the prison wardens created an unnecessary scene, leading to a violent uproar, all in a bid to bring harm to the leader of the Indigenous People of Biafra, Nnamdi Kanu. They shot give cannons tear-gas into his room, in a bit to suffocate and snuff life out of him. We are by this Alert, placing the world on notice of the impending harm that is being unleashed on Nnamdi Kanu.